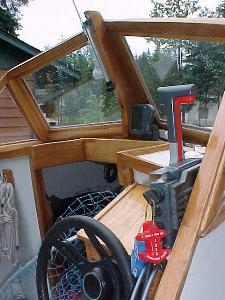 10 years ago I built this Cabin Skiff from your plans. 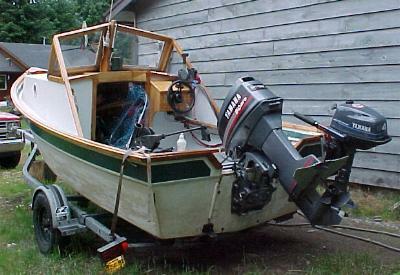 It plied the waters of Kodiak, Alaska for 1 year and the waters of SE Alaska for the last 9 years. It's a fish killing machine and is still as solid as a rock. 2 - 3 years ago, I visited Glen-L in California and you were kind enough to give me a tour. I promised to send you some pictures. She's 10 years old and needs new cosmetics (paint, varnish, etc.) but here are the pictures.